The days are getting longer and warmer; it’s spring and with it one of the most beautiful seasons of the year to get married. Peony Trend 2015: soft pastel shades – this beautiful flower is still among the favorites. This spring peonies are beautiful in delicate pastel shades that complement the color palette of many weddings. 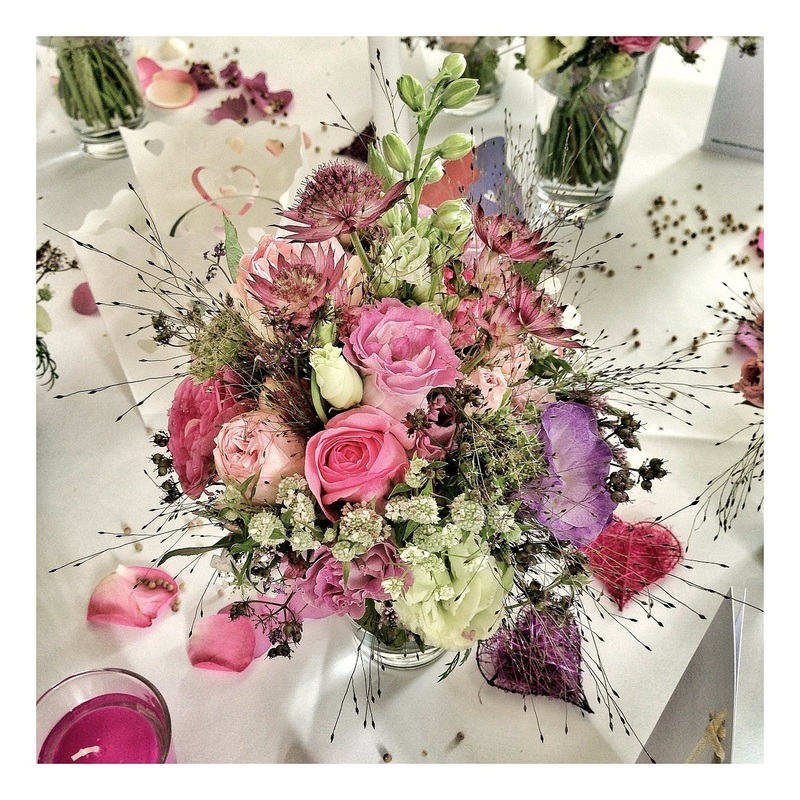 Rose Trend 2015: pink and purple shades – the flower which represent the symbol of love should not be missed! With this classic and beautiful flower you can’t never go wrong. This spring roses in pink or purple nuances are perfect for wedding decorations ideally combined with lilacs and peonies from the same color palette. This trend is our favorite flower decoration for romantic and cheerful floral arrangements. Hydrangea Trend 2015: blue and purple paired with white – Hydrangeas are the perfect choice for rich and pompous floral decorations. Hydrangea arrangements of delicate blue or purple tones paired with white hydrangeas give the location and the wedding table a classy look and are certainly an eye-catcher. Tulip Trend 2015: bright colors – a perfect choice for a wedding in spring. The flower is characteristic for the spring and with its selection of bright colors the tulip goes well both to rural rustic weddings as well as to colorful and modern weddings. Tulips are also ideal for couples who want a clear line for their wedding. Gerbera Trend 2015: Wild and muddled – with these colorful spring flowers – we recommend in red, orange and yellow colors – you make the right decision celebrating a casual and quirky wedding party in a rustic garden or in the countryside. Decorated in clay or brass vases emphasize the character of fun, joy. Our personal recommendation: For a wedding in Italy we love to decorate with typical mediterranean elements: olive branches or lavender complement the floral decoration perfectly and give the location a special touch of Bella Italia – we love it!